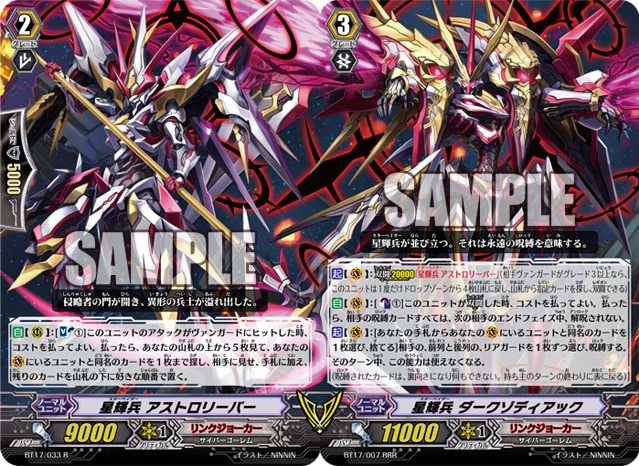 [AUTO](RC):[Soul Blast (1)] When this unit’s attack hits a vanguard, you may pay the cost. If you do, look at five cards from the top of your deck, search for up to one card with the same name as a unit in your (VC), reveal it to your opponent, put it into your hand, and put the rest on the bottom of your deck in any order. [AUTO](VC):[Counter Blast (1)] When this unit performs Legion, you may pay the cost. If you do, all of your opponent’s locked cards cannot be unlocked during your opponent’s next end phase. Seems fair to me. What's the issue?